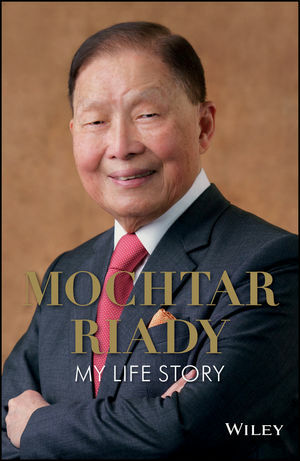 Mochtar Riady: My Life Story provides an unprecedented look at the life of one of Southeast Asia's most respected business titans. Internationally recognised for his professional achievements and passion for philanthropy, Dr. Riady serves as a stunning example of how personal philosophy merges with business acumen to create extraordinary success. From revitalising Bank Central Asia and founding the globally-successful Lippo Group, to founding the Mochtar Riady Institute for Nanotechnology and the Pelita Harapan University, Dr. Riady has done it all. He has his hands in finance, property, infrastructure, telecommunications, retail, e-commerce, biomedical research and all aspects of business; he has written about his experiences building a diversified business conglomerate, but never before has he told the whole story. This book details the making of the man. His successes are well-known around the globe, but the essential common factors between them all are Dr. Riady's personal philosophy and intrinsic motivations. To learn from him, you must know him — and this book puts you front and centre for the most critical parts of his life. Learn how Dr. Riady came to be known as the "bank crisis specialist"
As other banks crumbled, Lippo Bank flourished with Dr. Riady at the helm. He started the Lippo Group as a financial services organisation, and ended up founding a township consisting of commercial and residential districts, a university and a hospital. Dr. Riady thinks big – that much is clear – but how is he able to turn such far-reaching goals into reality with what looks like relative ease? Mochtar Riady: My Life Story invites you inside the mind of a titan to learn how success is made. Born in 1929 in Malang, East Java, Dr Mochtar Riady graduated from the Chung Yang University (now Southeast University) in Nanjing, China. From a humble start, Dr Riady has built a stellar business over 60 years and is the head of an impressive multinational empire.